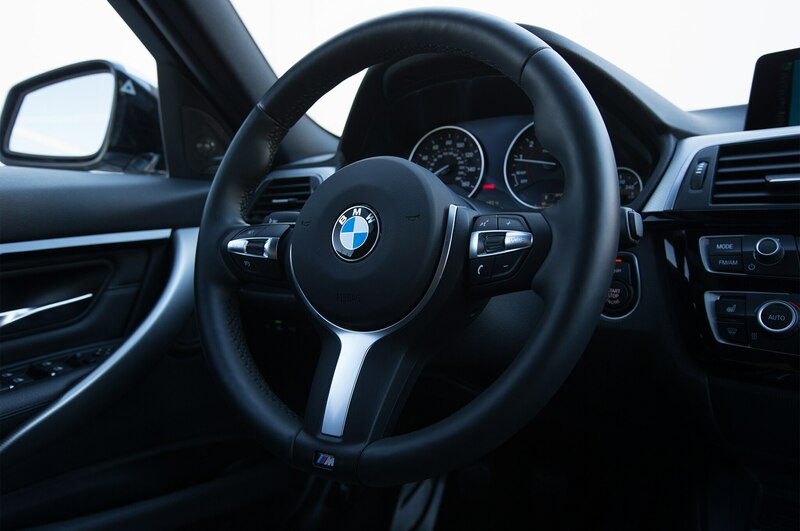 Spend an hour at AUTOMOBILE headquarters and odds are you’ll witness at least one spontaneous staff debate about the latest new car to roll through our test fleet, or maybe a mostly forgotten, obscure model of the 1980s or ’90s. 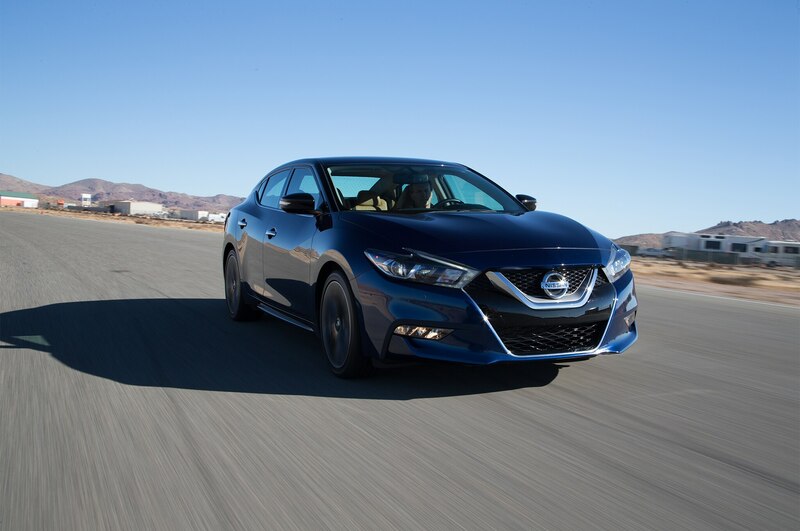 Lately, though, our Four Seasons 2016 Nissan Maxima SR has been a semi-regular topic. 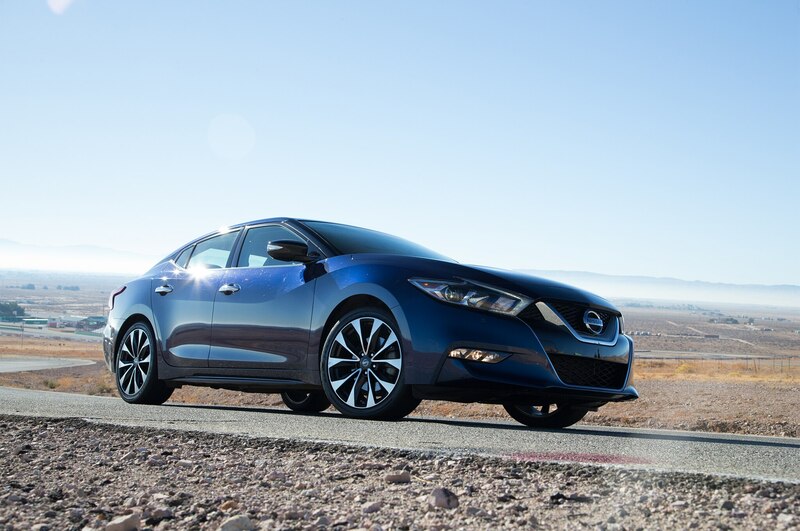 Our editors agree almost unanimously: The Maxima is a top-notch effort. 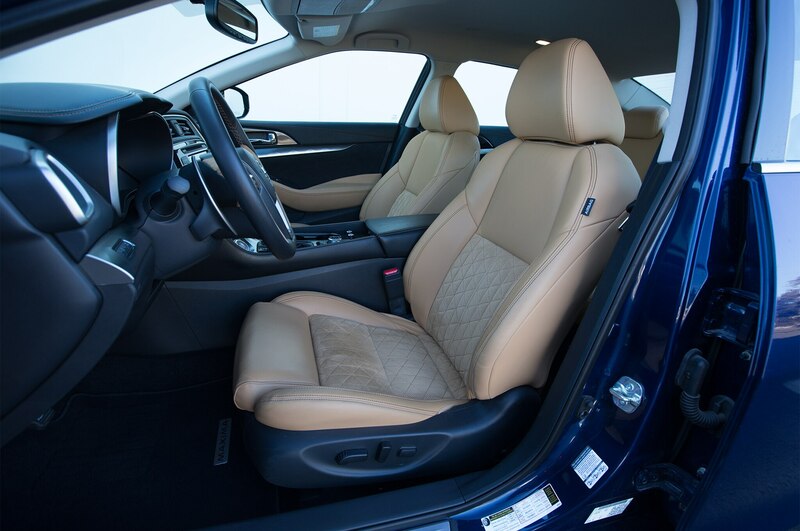 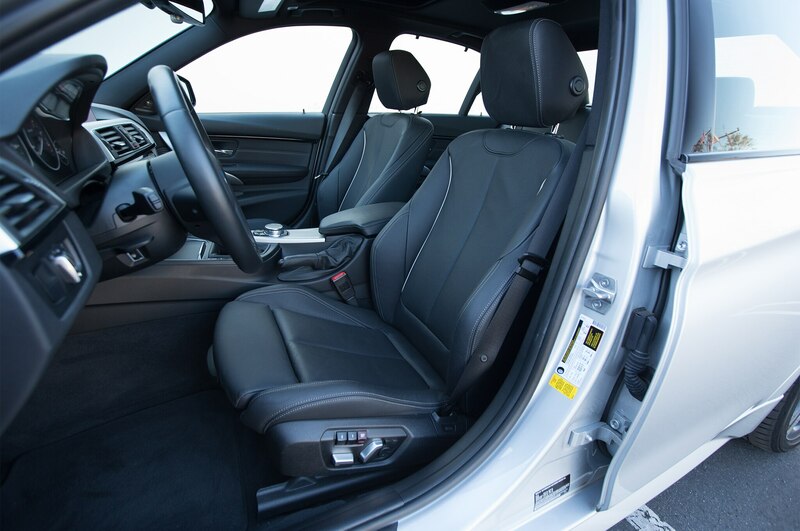 Its initially polarizing styling grew on us quickly — the car receives a fair amount of compliments from strangers, too — and drivers and passengers alike appreciate its roomy, comfortable cabin on both short and long drives. 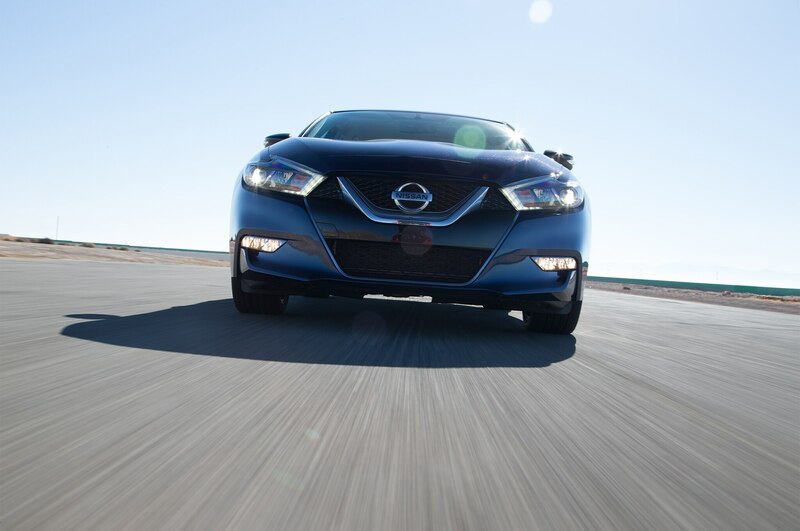 But question whether or not the Maxima SR has serious performance chops — or bring up Nissan’s “four-door sports car” marketing rhetoric — and prepare to spend the ensuing 20 minutes hearing about it from all sides. 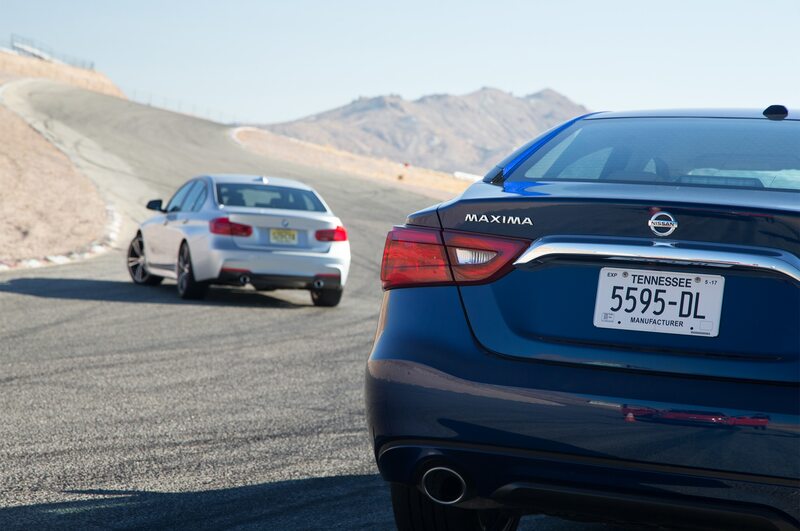 The doubters’ common stance goes something like this: Calling the Maxima a legitimate sport sedan is a big stretch. 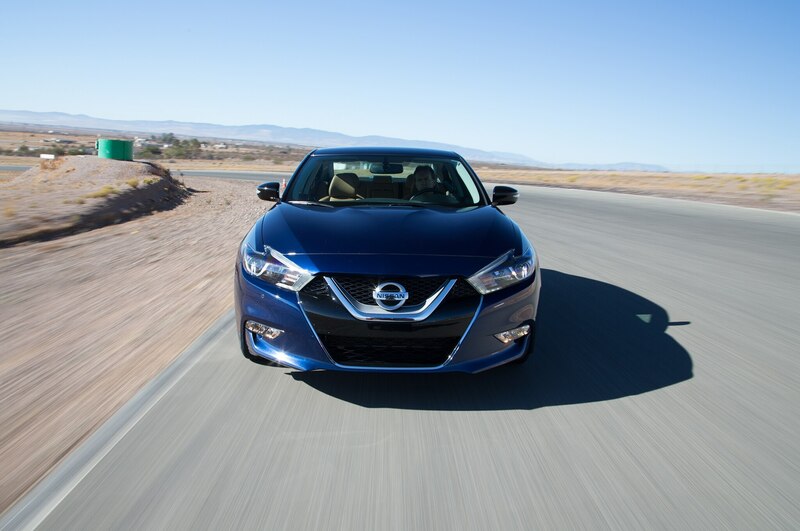 No one disagrees it’s a fine mid-level conveyance, but beyond that the Maxima’s specifications surely mean it offers little more than a sterile, understeering experience best left to cruising along in straight lines, while drivers of German sport sedans have all the back-road fun. 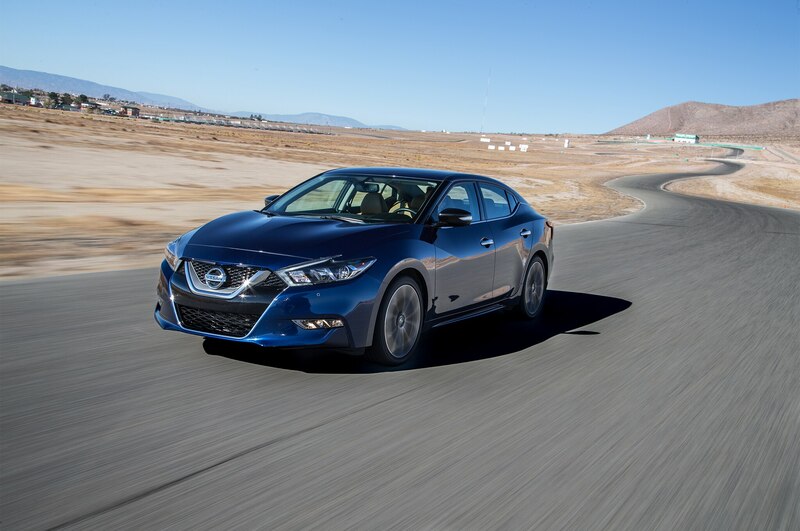 To find out what the Maxima SR can really do at its limit, we drove the car to California’s Willow Springs International Raceway. 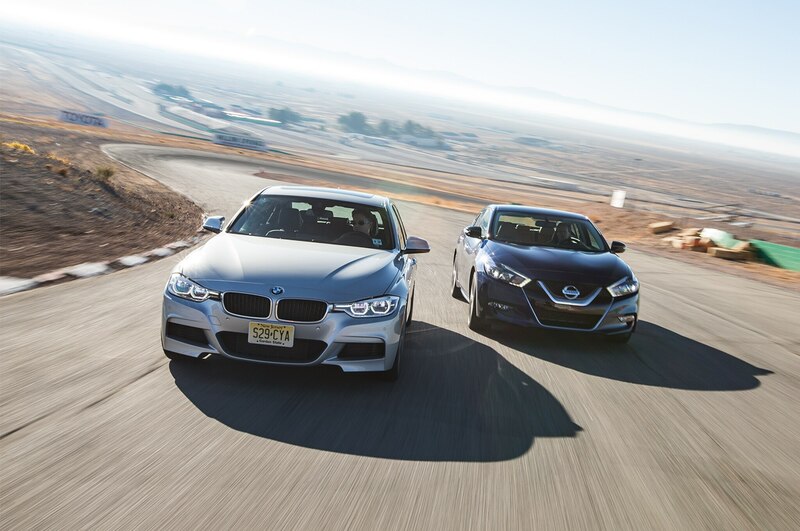 For fun and benchmark’s sake, we brought along a 2016 BMW 340i sedan, a rear-drive four-door the naysayers assumed would crush the front-drive Nissan in every way. 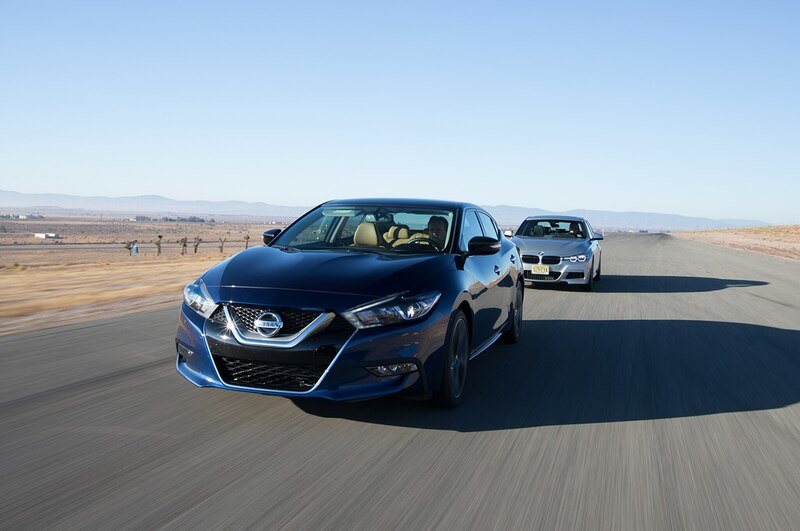 But each time the Maxima debate cropped up, some of us recalled how Nissan representatives at the car’s launch were bullish about its handling compared with the historically lauded 3 Series platform. 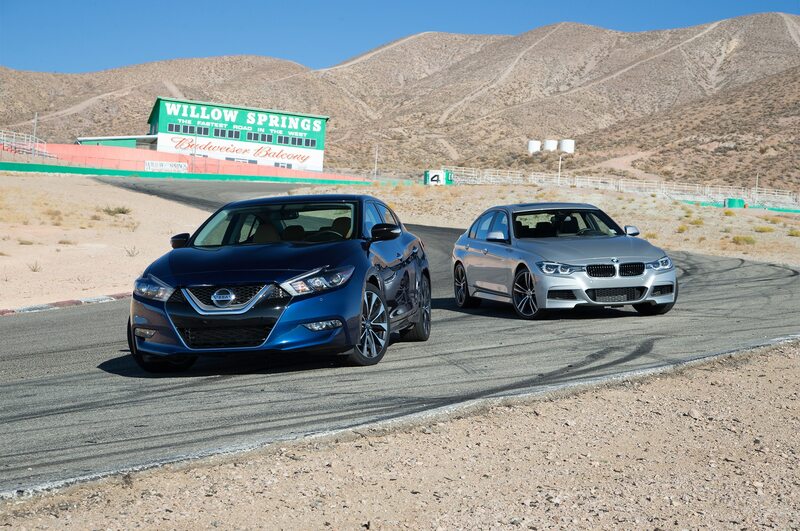 We did not expect the ultimate lap-time battle to go the Maxima SR’s way. 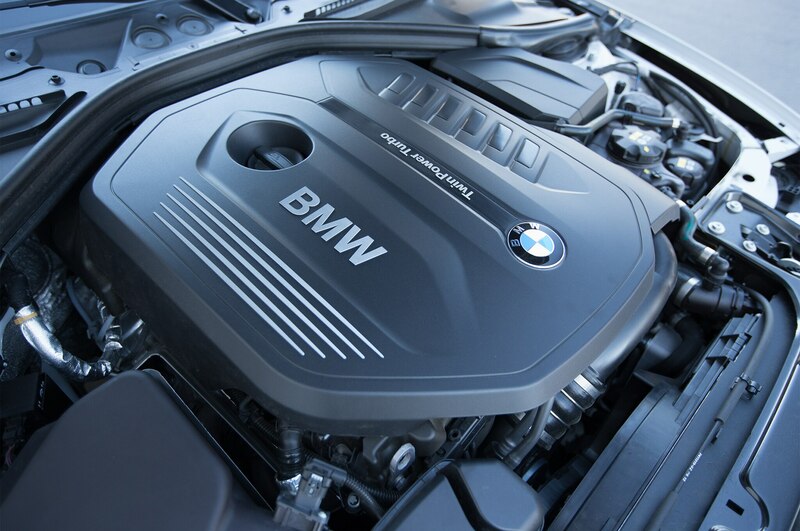 Its naturally aspirated V-6 makes 300 horsepower and 261 lb-ft of torque compared to the turbo I-6 340i’s 320 hp and 330 lb-ft. 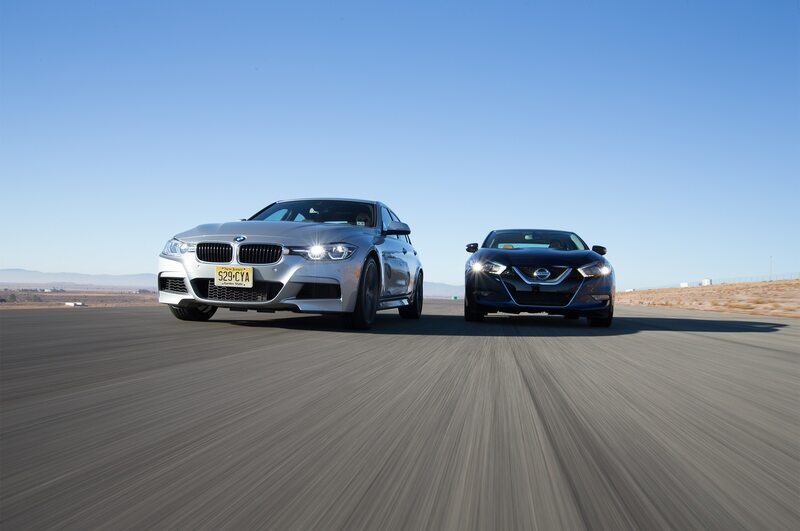 The Nissan had slightly less-grippy tires (300 treadwear vs. 280), and its apparently not-track-ideal continuously variable transmission faced the BMW’s six-speed manual. 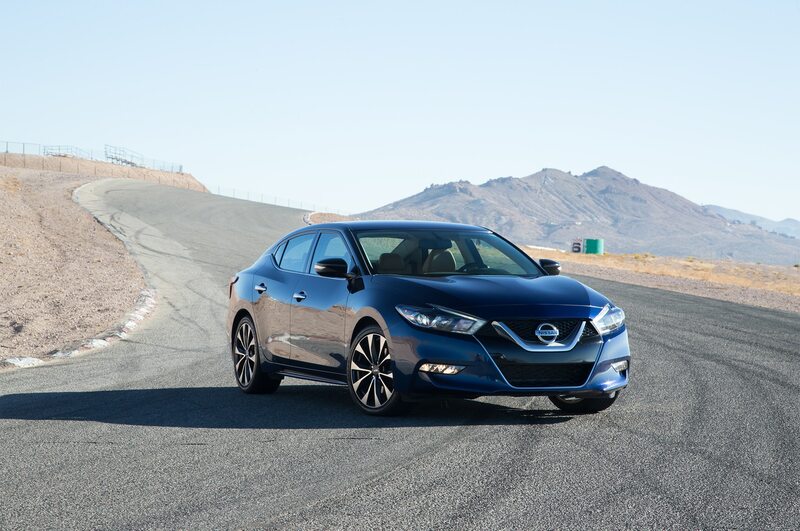 Stopwatch notwithstanding, we aimed to find out once and for all if the noticeably larger Maxima, with its 61/39 percent front/rear weight distribution compared to the BMW’s 51.4/48.6 split, delivers dynamic behavior approaching anything close to Nissan’s claim. Let’s get the timesheet out of the way: In relatively cool conditions with ambient temperatures fluctuating from the high 60s to low 70s and with each car’s electronic driver-aid nannies switched off, the 340i lapped the fast, 2.5-mile, nine-turn Big Willow circuit in 1 minute, 37.9 seconds, 3.0 seconds quicker than the Maxima SR. That’s a universe away if you’re competing in an actual race, but it told only one part of the story. 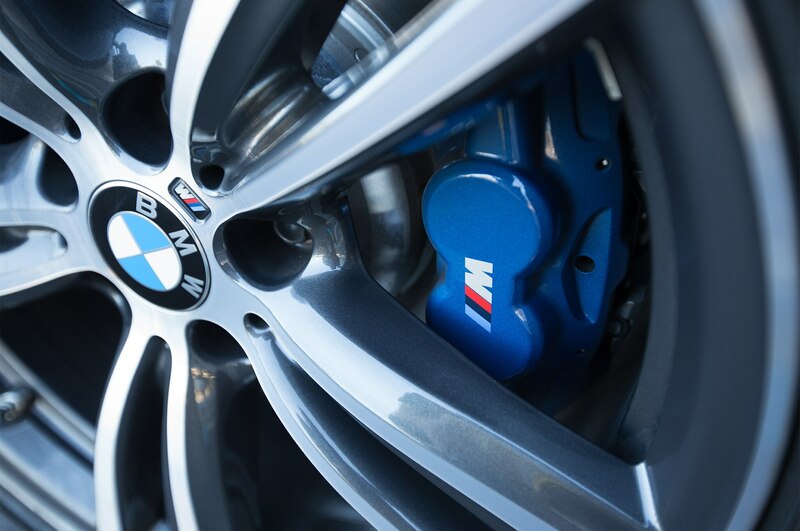 The BMW found almost all of its advantage thanks to its superior power and, notably, its torque coming out of the corners. 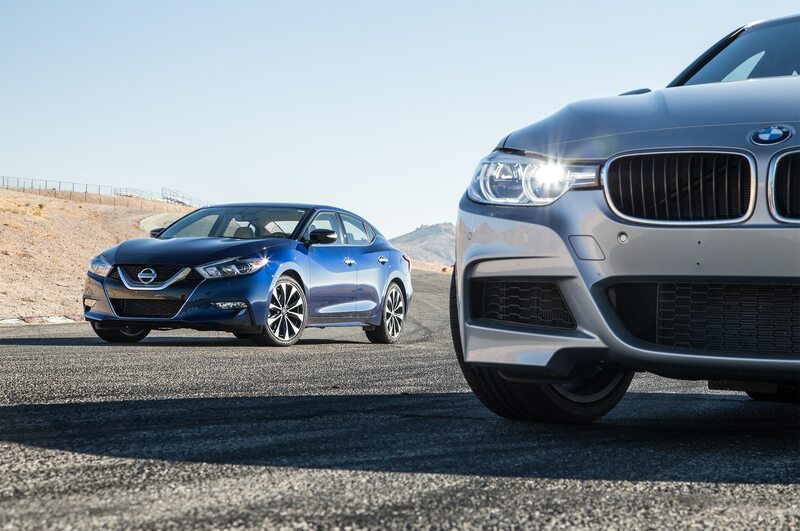 The 340i’s six-speed manual transmission is more engaging than the Maxima’s CVT, but it doesn’t necessarily spell doom for the Nissan. 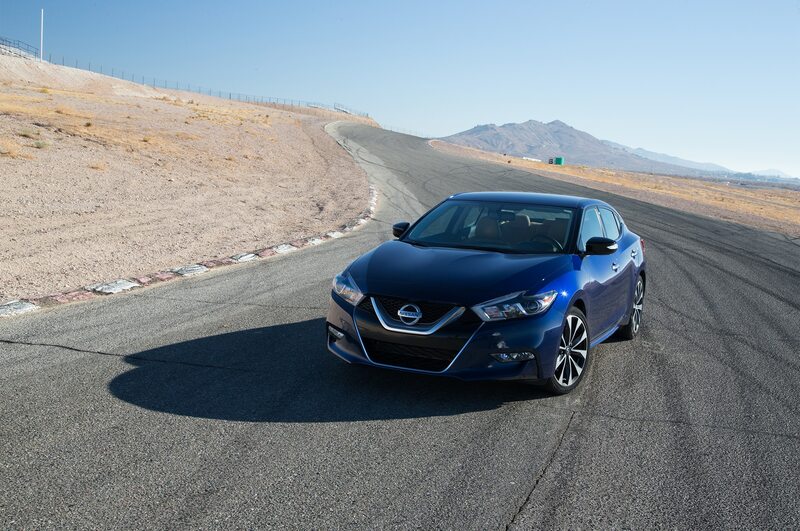 Handlingwise, the Maxima’s steering response and feel were excellent. 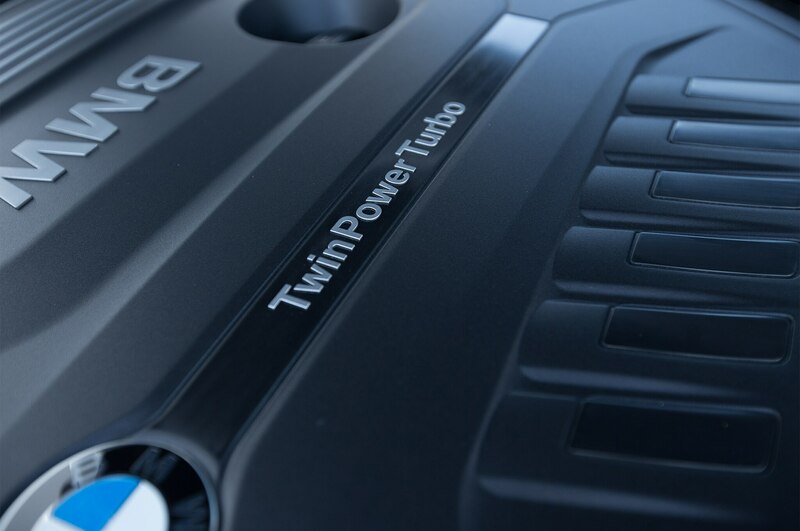 Torque steer that predictably plagues the front-driver at times on public roads, especially when accelerating hard on uneven pavement, was a non-issue on the track. 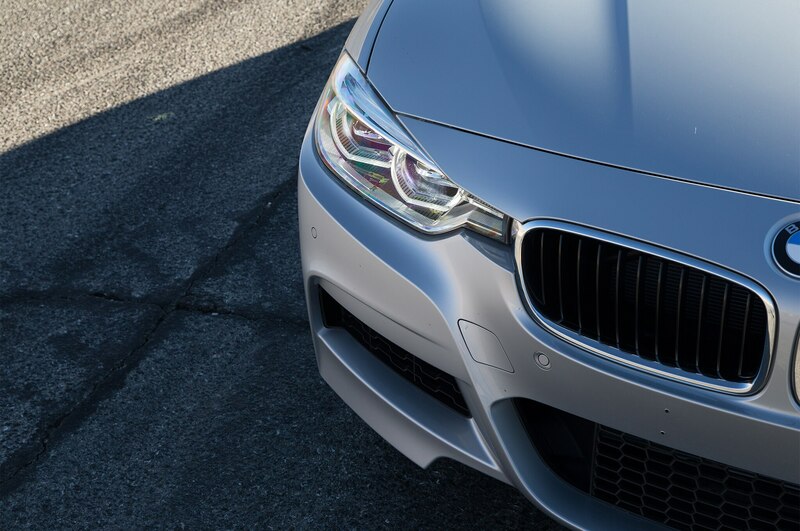 The nose points into corners a little better than the BMW’s does, and the steering communicates more about what the tires are doing. 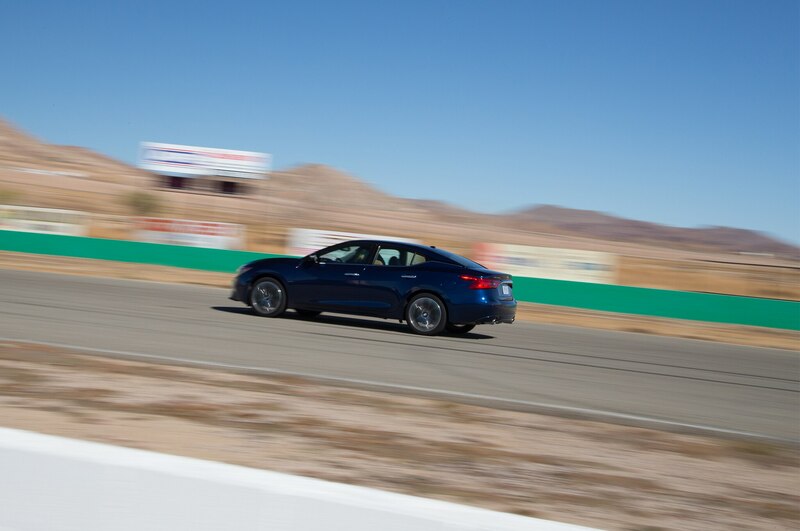 Coming off the fast front straight — the Maxima topped out at 122 mph compared to the 340’s 136 — and hard on the brakes into Turn 1, its initial turn-in and grip through the corner impressed us. 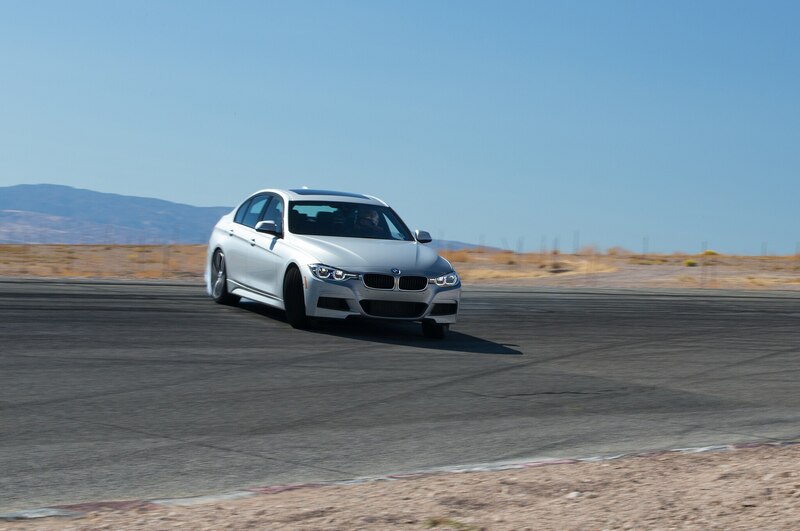 Both cars were easy to rotate into Willow’s turns. 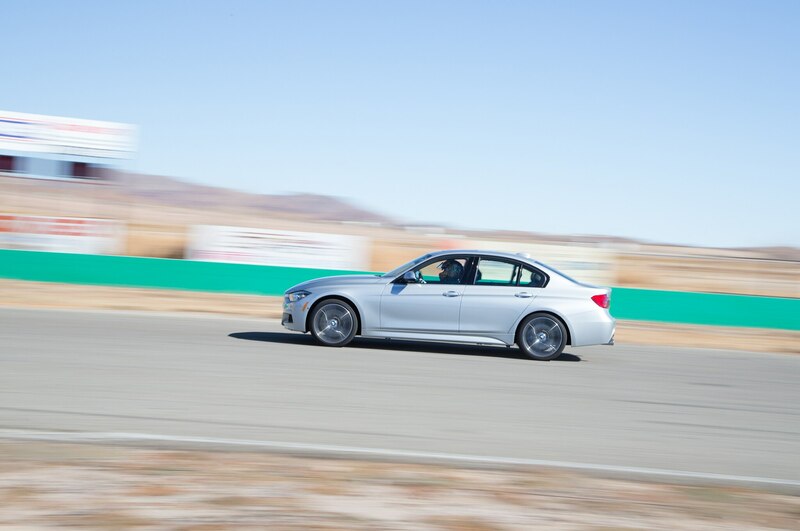 However, it was more difficult in the BMW to hold the slide in most of the bends, barring the long, medium-speed Turn 2, where a little left-foot tap of the brake pedal allowed us to keep the throttle open and the nose pegged. 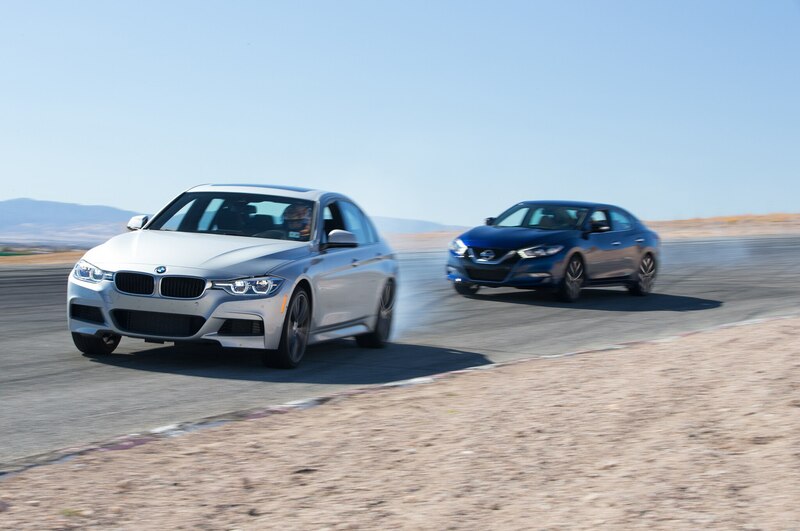 If you just barrel into a corner, both cars will naturally understeer and you’ll never get the front end under control, but it is possible in each to balance the rotation and kill a lot of understeer with a little bit of left-foot braking or by lifting off the throttle. 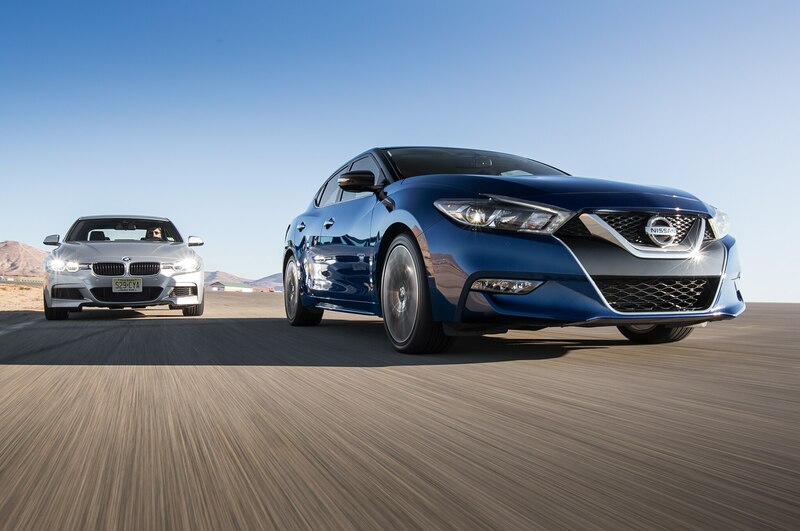 Both cars were solid in this regard, with the Nissan just plain better at it, in part perhaps due to its front-drive layout making the rear end relatively light. 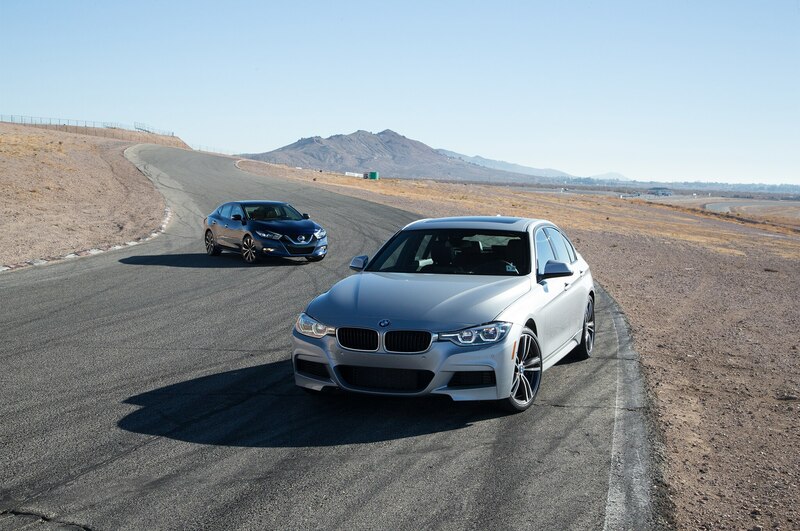 Braking was good, not spectacular, in both cars. 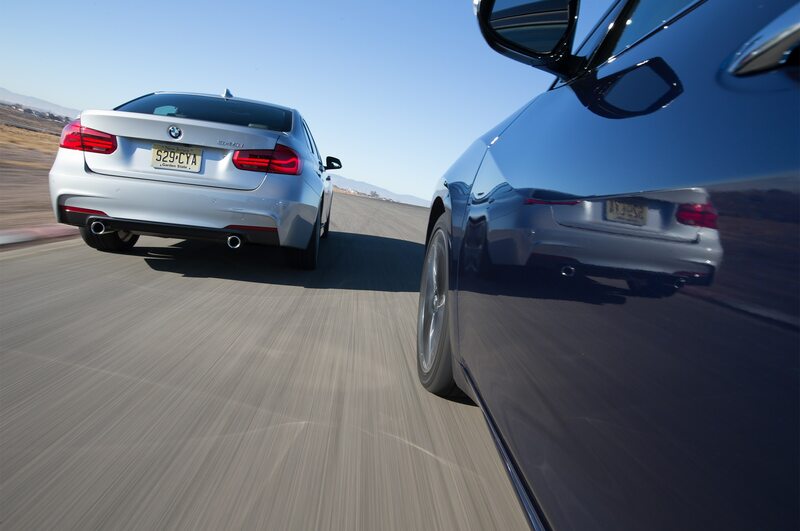 The 340i came with optional M Sport brakes, which resisted activating ABS better than the Maxima did. 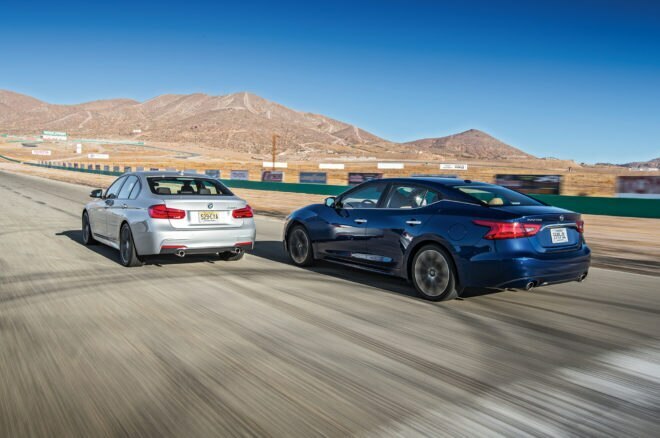 The latter triggered its anti-lock function too easily, likely the result of the system’s tuning as well as the heavier front end causing the rear to lift more under braking. 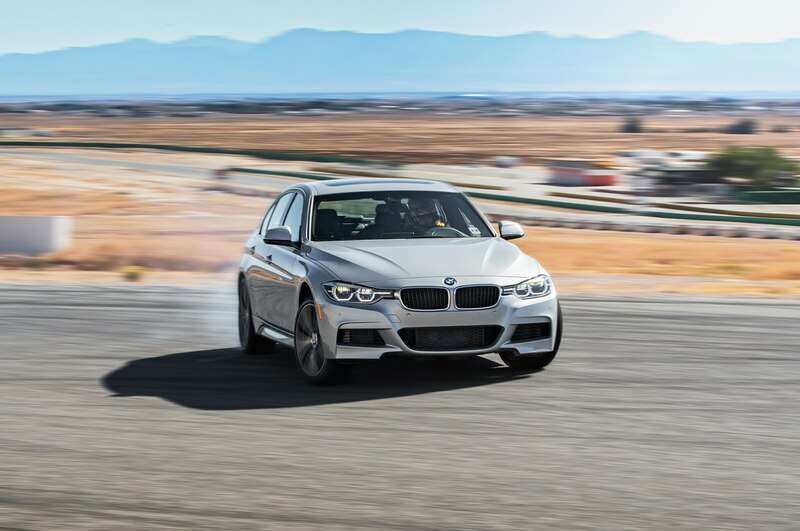 The BMW’s better stopping performance helped its lap time marginally, as did its manual gearbox. 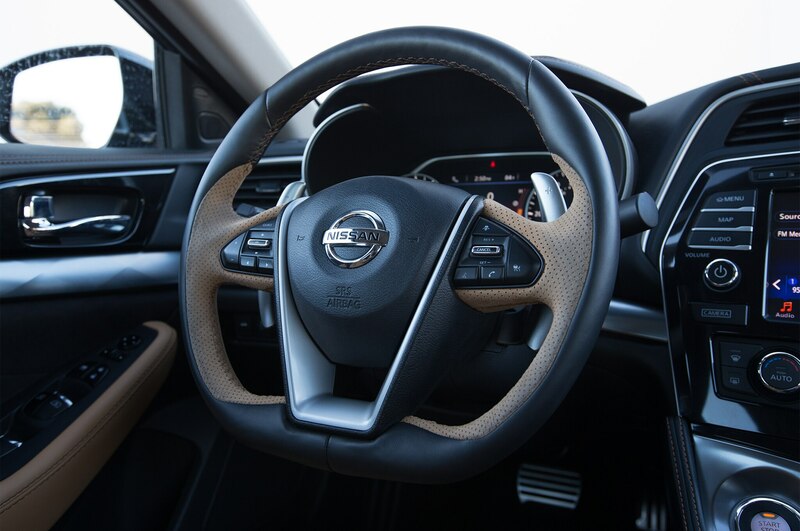 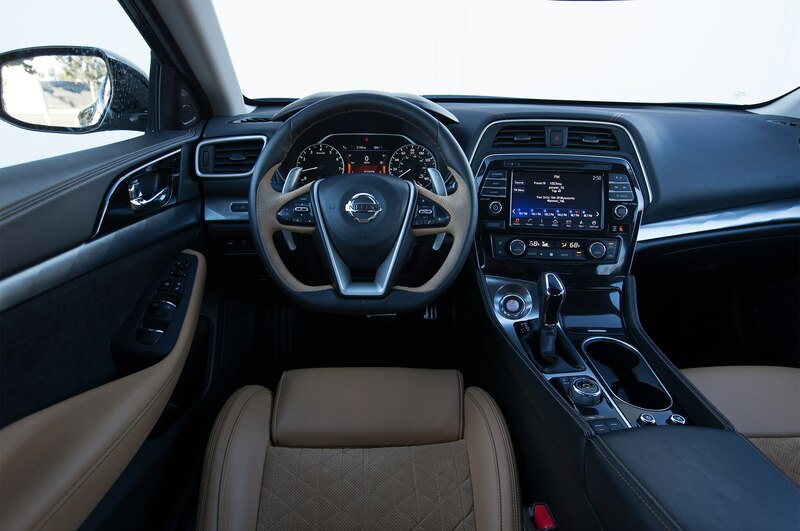 The Nissan’s CVT is not aggressive, manual-shift mode included, and it does not kick- down quickly, making it a bit more difficult to keep the engine in its optimum powerband. 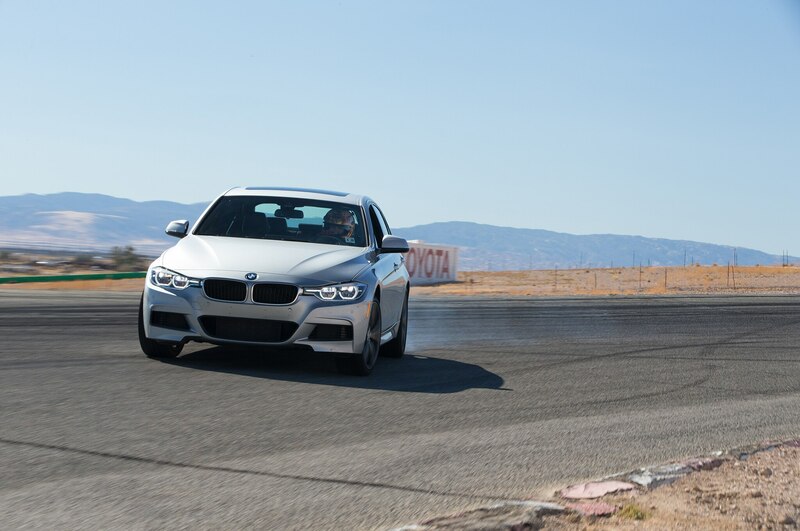 The braking and transmission differences, however, did not ruin the fun. 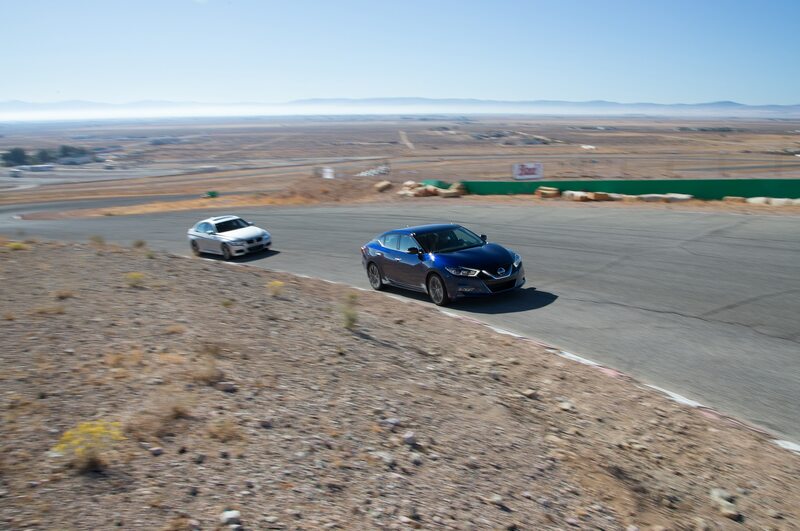 Flying into the ultra-fast Turn 8, we found we could run the Nissan far deeper into the corner before needing to slow. 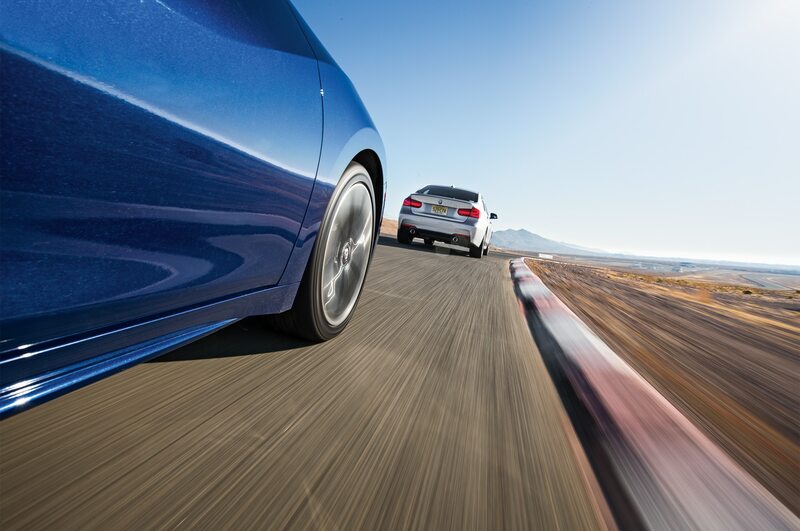 We could then get right back to full power, as the rear end again worked all the way through. 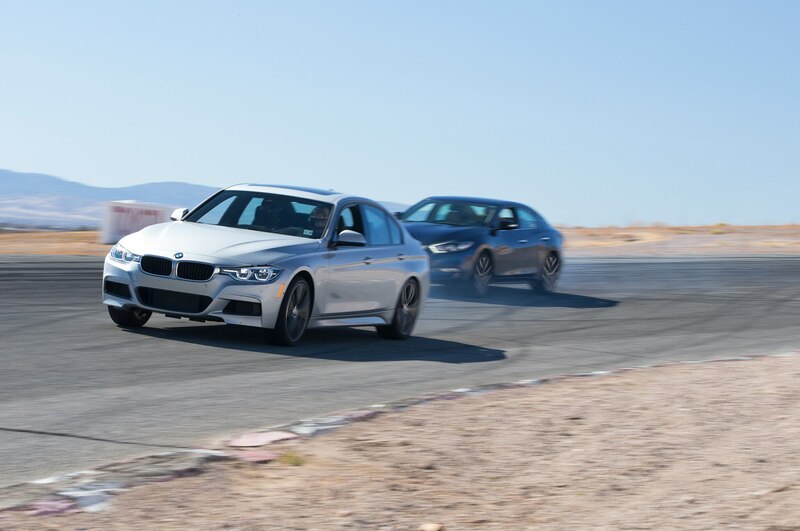 Mid-corner and apex speeds were almost identical in both cars, but the 340i tended to transition toward more understeer by mid-corner, making it more difficult to keep the chassis moving forward quickly. 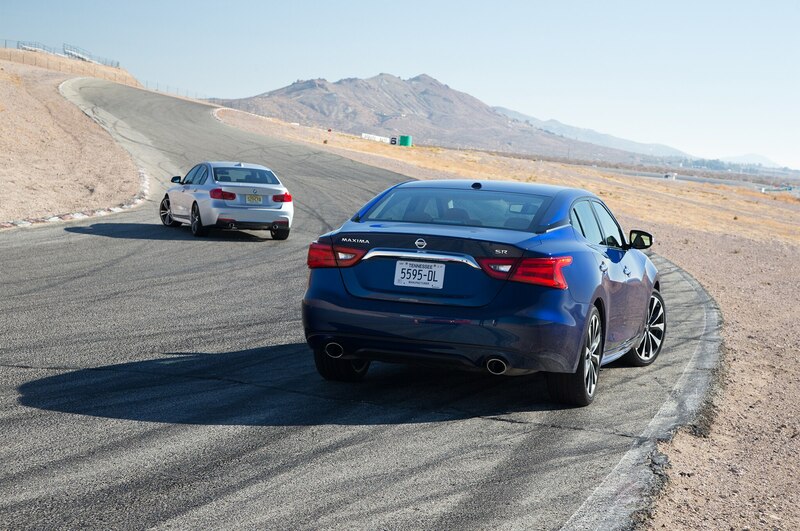 It’s a shame the sight of a Maxima chasing a 3 Series around a fast racetrack is a rarity, considering the former’s true performance. 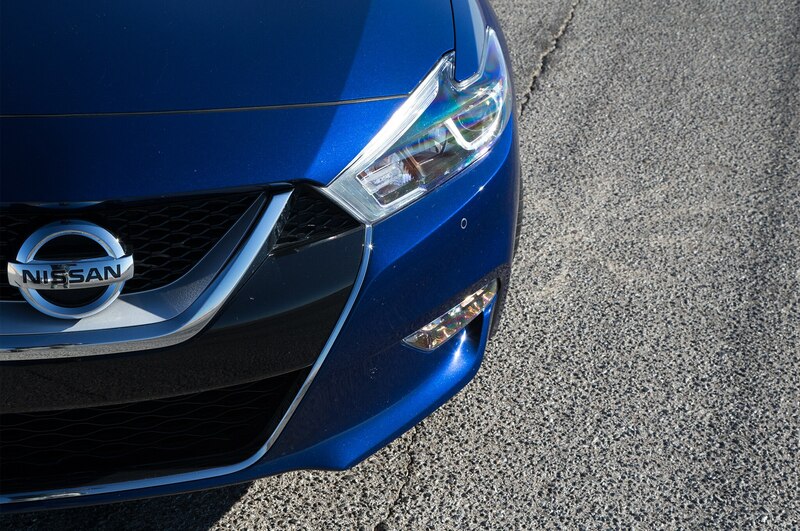 Overall grip was similar between the two, but the Maxima has slightly more, particularly when off the power from corner entry to apex, thanks to its sharper front end. 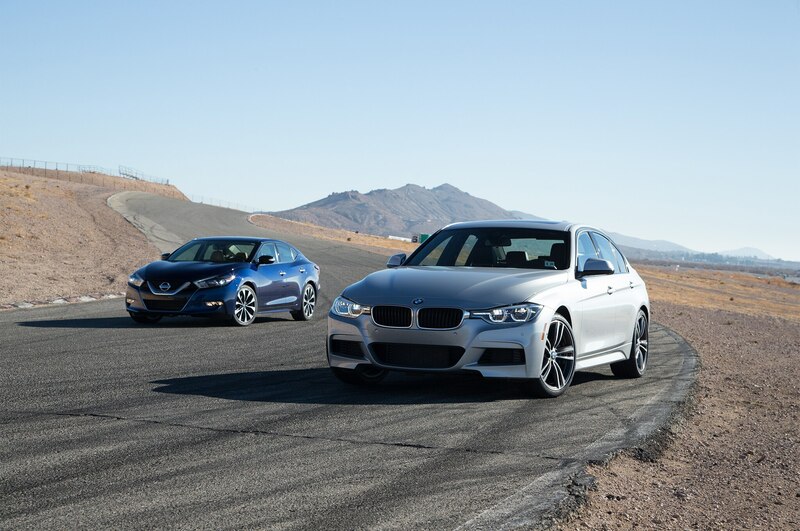 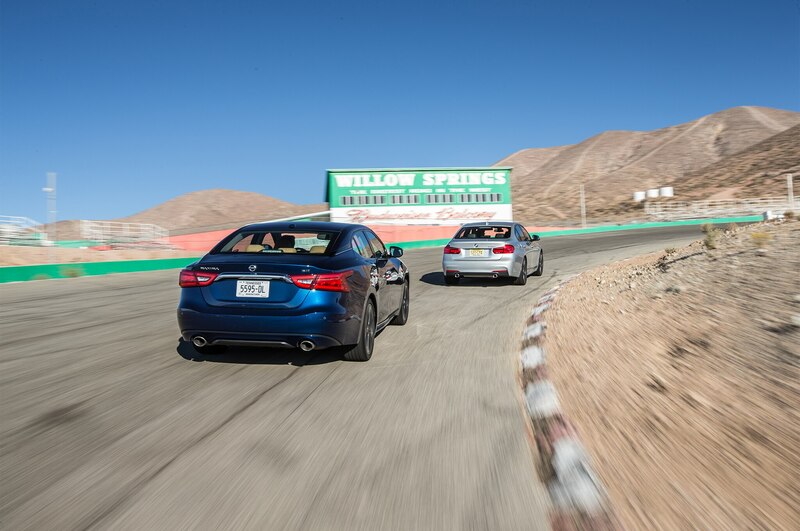 A badly understeering car is never fun at Willow Springs, and neither of these sedans fits that description. 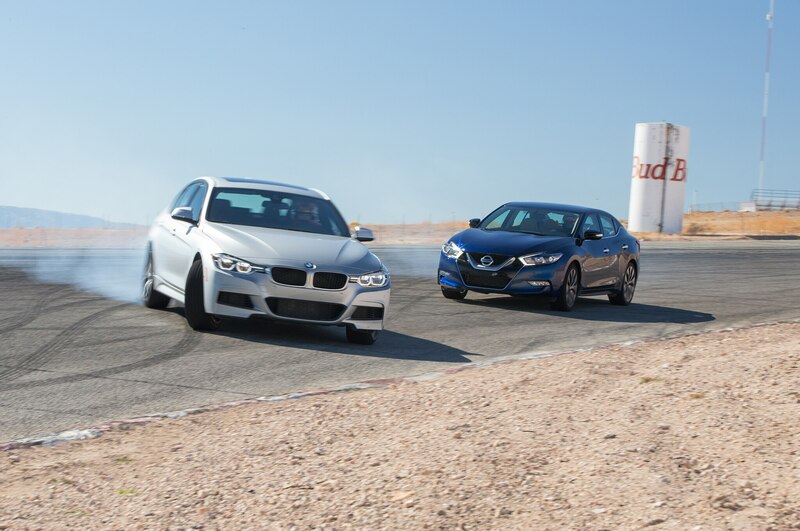 The Nissan, though, was the more relaxed of the two and simply felt more enjoyable in through the turns, with the BMW walking a fine line between controllability and going too far out of shape when sliding. 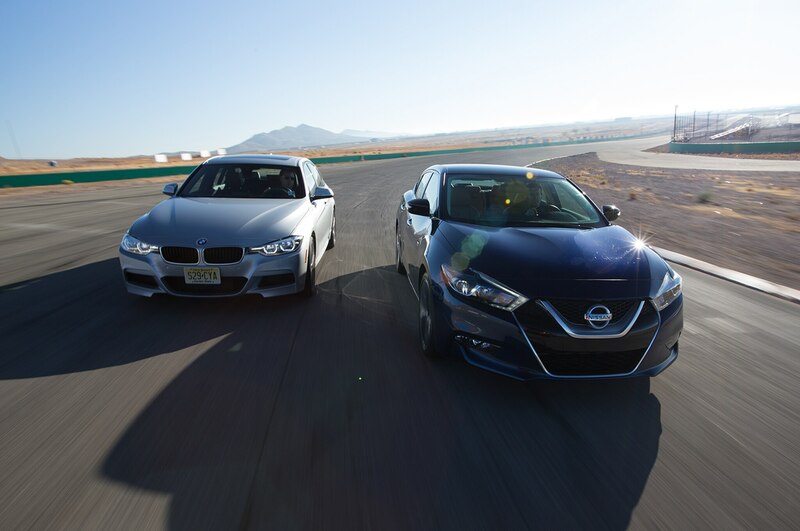 The Maxima’s better steering feel inspired confidence, while we had to be more careful with steering input in the BMW. 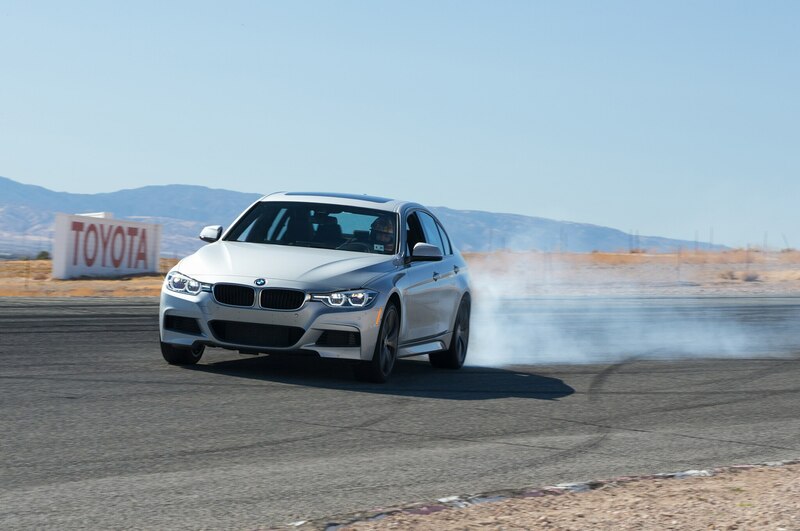 Some of that was down to the 340i arriving faster into corners, but its chassis movements once you get it sliding imply it will be easier to make a mistake at the limit. 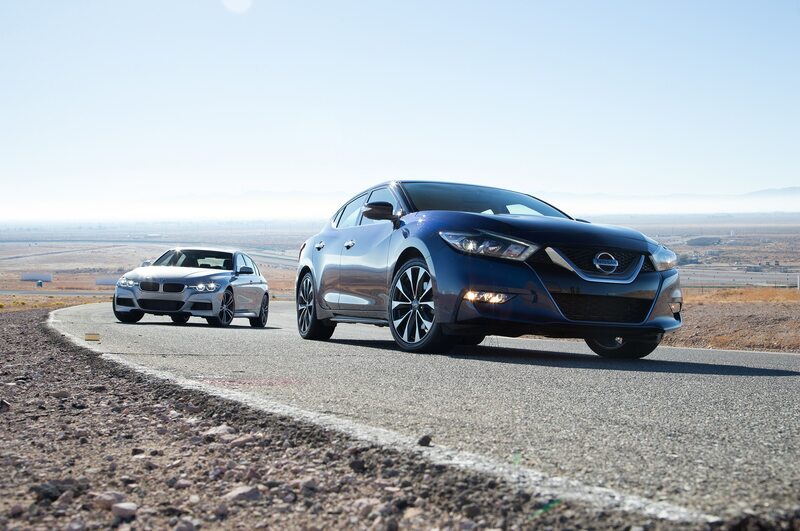 The Maxima’s better steering feel inspired confidence, while we had to be more careful with steering input in the BMW. 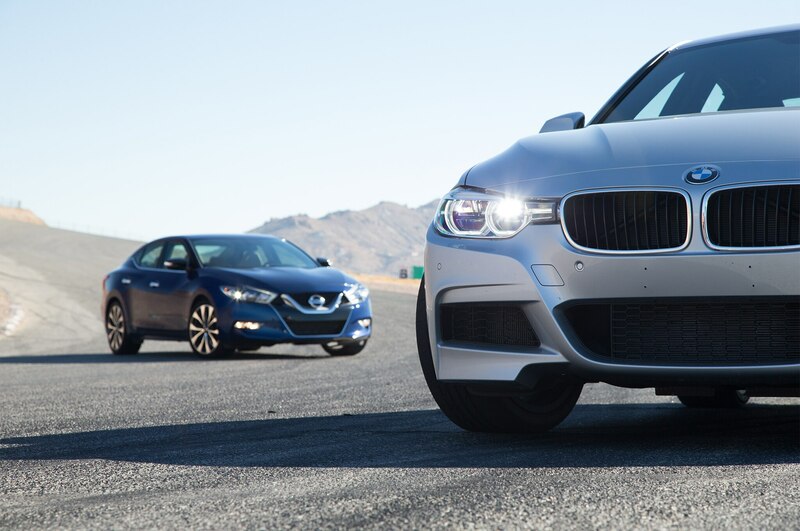 That’s the main difference at play here, and for someone to enjoy a track day — if you had these two cars to choose from — the Maxima SR is a little easier to handle and more fun as a result. 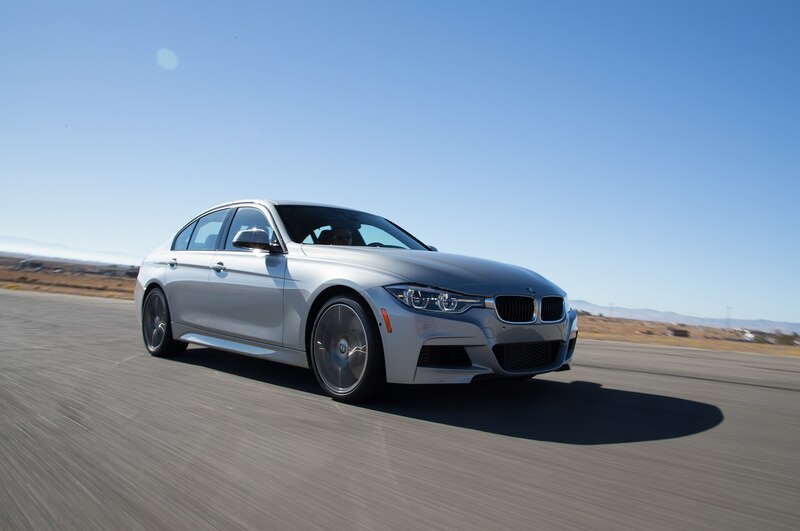 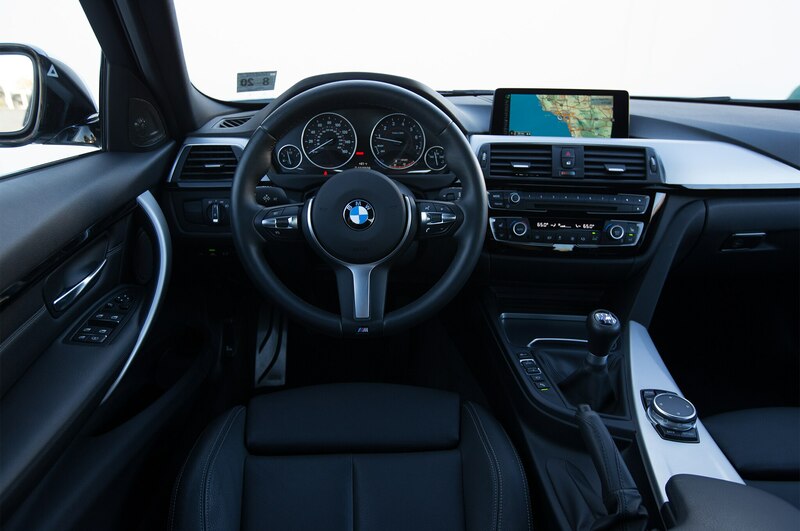 It legitimately delivers on the pure-handling front as the company claimed it would, and if it’s not a legitimate sport sedan, then neither is the BMW. 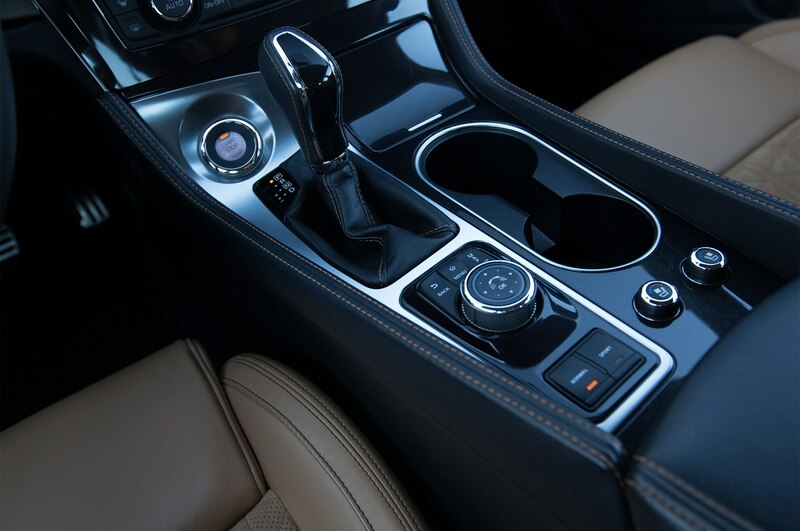 This won’t appease old-school purists who insist on heel-toeing and shifting their own gears, several of whom occupy AUTOMOBILE HQ. 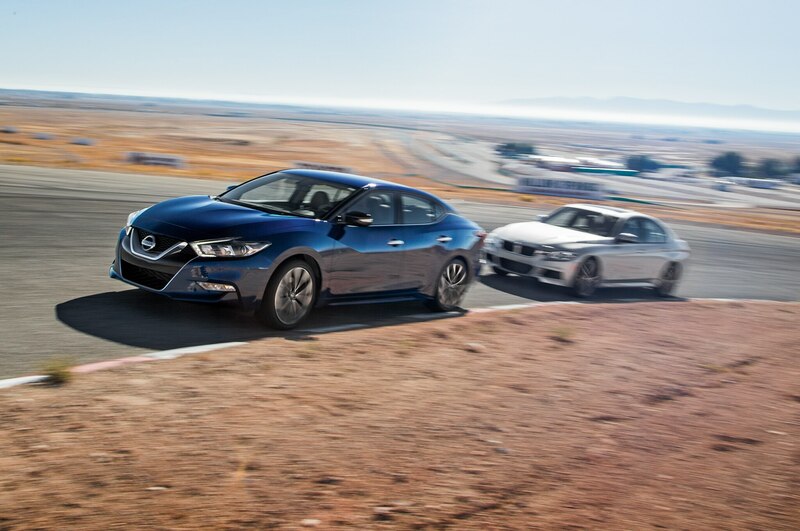 But the next time an argument breaks out regarding the Maxima SR, perhaps the best answer is this: The 3 Series has become a more approachable sport sedan capable of placating those who don’t know and don’t care to know about its roots, and the Maxima SR — provided fine dynamics are your bag — has clawed its way onto the sport-sedan playing field. 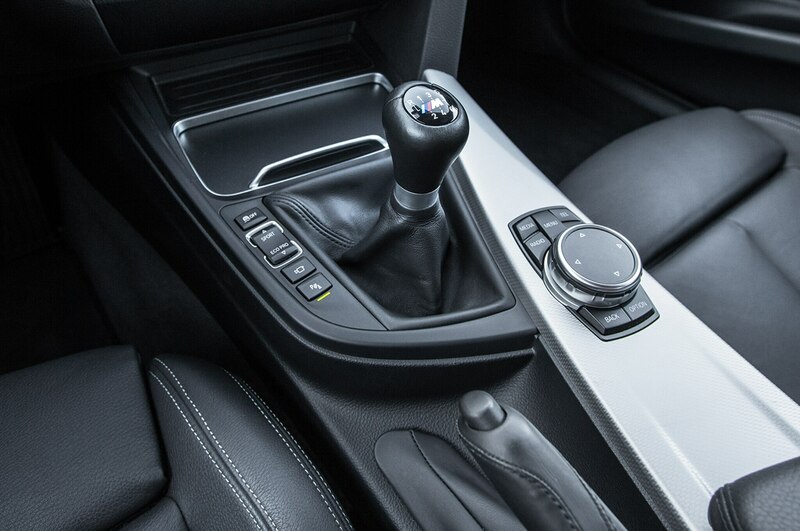 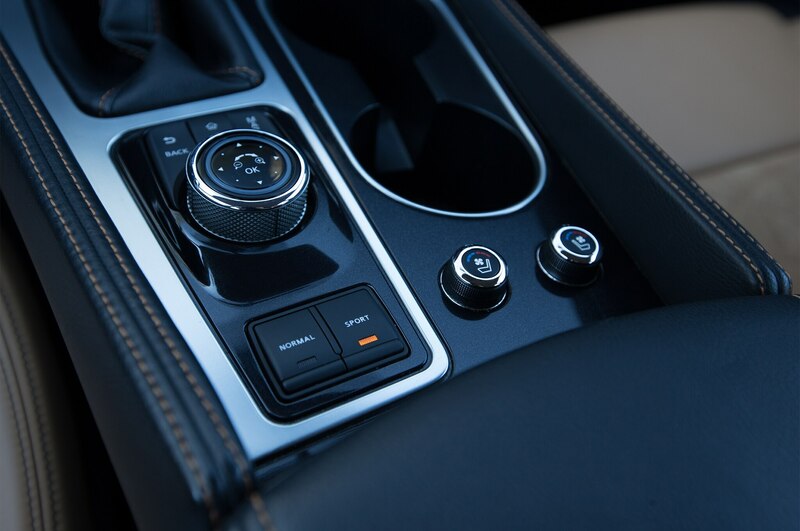 Throw a manual gearbox or twin-clutch transmission on it, and remaining doubters would almost certainly come around. 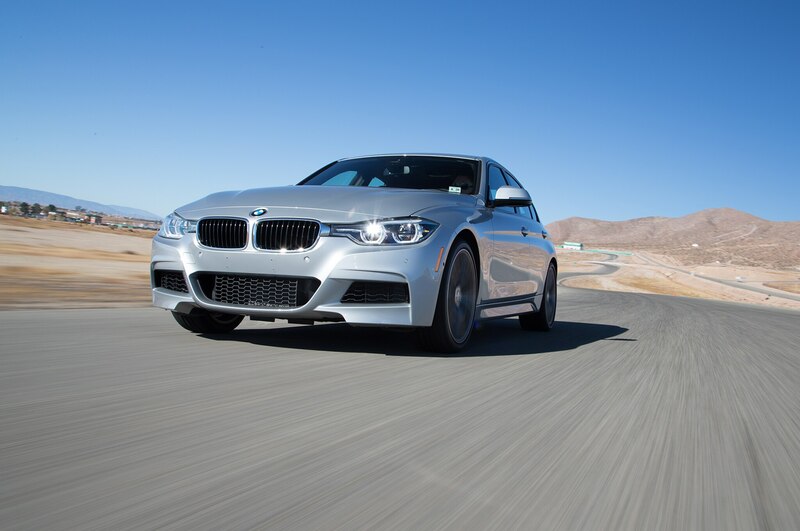 Regardless, it is no longer a pretender as an edgy, performance-orientated four-door. 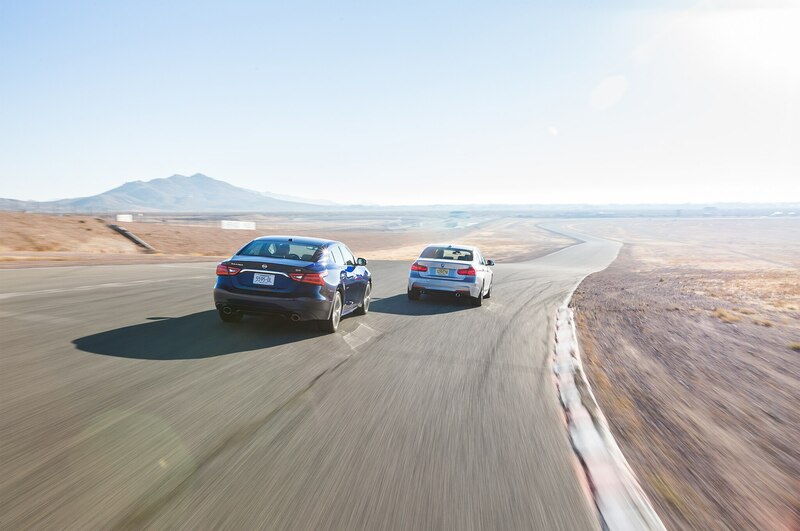 Of that, we are now confident, there is no debate.